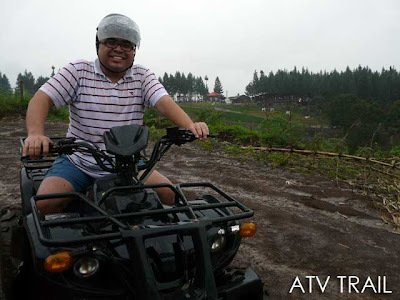 On the way back to Cagayan de Oro from the Monastery of the Transfiguration, I made sure to stop over at the Dahilayan Adventure Park and Dahilayan Forest Park in Manolo Fortich, Bukidnon. Unfortunately, you will need to arrange transportation to get there. So I met up with Tito Mora of Swift Travel + Tours along the National Highway in Barangay Alae. And we proceeded to Dahilayan from there. To get to Dahilayan, you have to pass through Camp Phillips and the Del Monte Plantations. I heard they serve really good steak at the Del Monte Clubhouse. 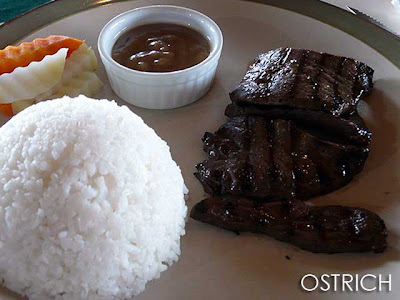 But I'll reserve that for another trip since we had lunch at Cowboy's Grill up in Dahilayan. On the menu was Ostrich (Php220), Lamb (Php260), Pink Salmon (Php270) and Wagyu Beef (Php450) among others. 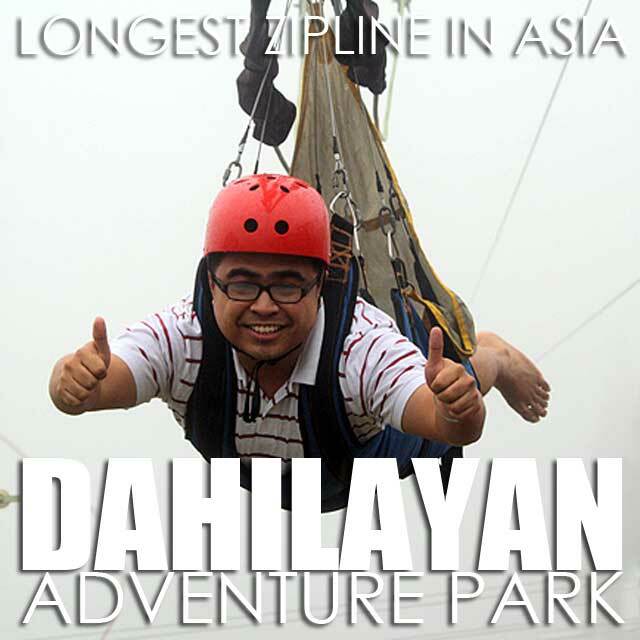 After lunch, we proceeded to ZipZone at the Dahilayan Adventure Park for the 840m zipline, the longest in Asia so far. 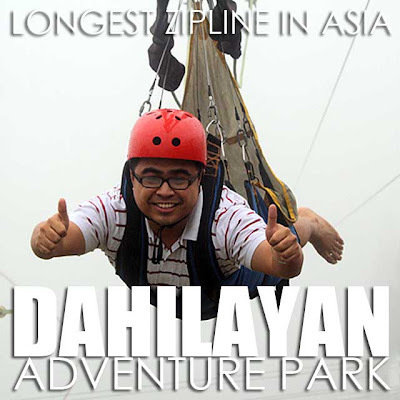 They actually have three ziplines in the park, the 840m (Php500) and 320m & 120m (Php250) ziplines. If you want to try them all, they have an All Ride Package at Php600. Unfortunately (or fortunately) it was quite foggy and drizzling. But we still proceeded with the zipline which was quite fun even if it meant 'flying' through thick fog. There are other adventure activities further down the road at the Forest Park. I didn't expect that there would be a Zorbit (Php250) all the way up in Dahilayan. But there was. And it was the first thing I got to try. I'm actually motion sick. 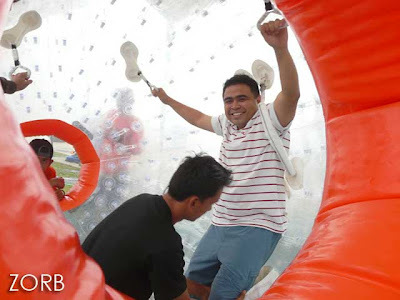 So trying out the Zorb was a test of my limits. 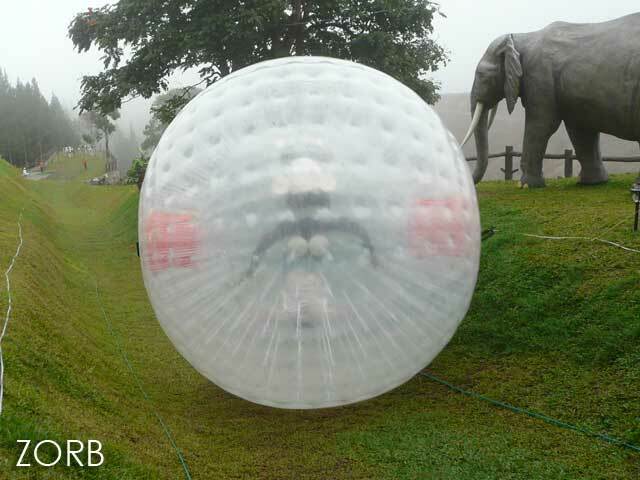 They sometimes refer to the Zorb as the 'astronaut-in-training' ride. I'm not surprised why since I was screaming like hell all the way down, more to get my mind off the motion sickness. It took quite a while for me to recover from that. But despite the rains, we proceeded with the ATV Trail (Php500). 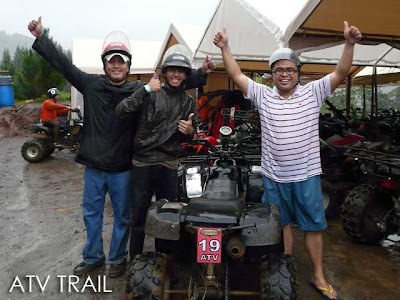 Taking the ATV around the 3.1-kilometer trail in the Forest Park was an experience in itself. It was a challenge driving up the muddy slopes but fun nevertheless. On sunny days, the Forest Park also offers great picnic grounds and playgrounds for kids. I was told the trees they planted in the park came all the way from New Zealand. 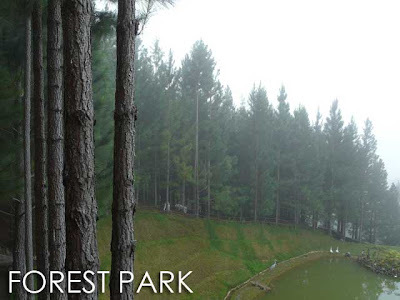 So the ambiance and feel of the Forest Park is quite different from that of Baguio or Tagaytay. For those who want to spend the night there, rooms are available from Php2,800 (good for 3 persons). There's a cafe there too which serves some great comfort food. Make sure to try out their pizzas! Will definitely try this when i visit Cagayan De Oro. Thanks for sharing Ivan. Great Pics Ivan , looks like you're living life to the MAX as usual having FUN and helping promote the many adventurous trips available all over the Philippines. I'm taking off Tuesday heading for Sri Lanka for an 8 month trip across central Asia tot he MED Sea island and maybe East Africa. Back home in November most likely. Made me feel 20 years younger even for just 2 minutes wahahahaha. 600pesos all the rides??? comprises of zipline, atv trail and zorb? I wanna try this. how much is the estimated budget for this trip if you will be coming from manila?